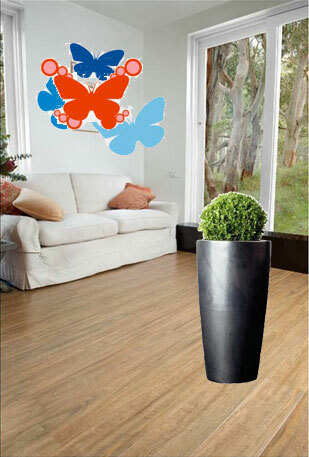 Endurance – Laminate flooring is made for the wear and tear that life brings. Whether you have children or you have pets, you’ll be happy to place this in any piece of your home. You won’t have to deal with scratches, allergens, mold, or anything of that nature. This type of option will stay looking quite good for many years, without much effort. You’ll find that through the years, there will be no signs of wear and tear. Maintenance – The best thing that this option presents is ease of maintenance. You won’t have to spend a lot of back aching labor trying to clean things, because you’ll be able to clean spills and messes with simple soap and water. First, you dust the area and then you utilize a little soap and water to get the brand new look that you can see for many years to come. Keeping it clean compared to carpet, and hard wood is so simple, that peace of mind will settle in with relative ease. Installation – Installing floors of this type is not like any other type of floors. To get this fully placed a person requires the option to be cut and then placed down with relative ease. There are even glue less floating options that are precut and click together without additional adhesive. Warranty – Many major manufacturers of this type of flooring offer extended and in some rare instances lifetime warranties. When something goes awry with your product throughout the years, even with normal wear and tear, many companies give you a full replacement. This is because the manufacturers are so confident that their selection is worth investing into. Cost – A typical flooring option is usually not economical. It’s important to take your budget into consideration, so that you’re not spending too much. If you spend too much, even if you get credit (financing), you could end up paying far more then you may have planned. Test the theory that this option is economical by shopping around, asking for estimates, and looking at many things. Parents will love laminate flooring options because they are perfect for pets, children, and all sorts of spills and thrills that happen in the household. Whether you’re a low-key family or you’re a high-energy bunch, you won’t crack, scratch, scrape, or break your new floor. One last note, always take your time when searching through flooring choices. Getting the best selection at the right price is very important; so don’t allow yourself to get swindled by high prices or empty promises. Take your time, assess your needs, set a budget, and look at the advantages that are listed above.